A Mortgage Broker helps borrowers by providing expert information and contacts, by 'comparison shopping' the many loans available in the marketplace on the borrowers behalf, and by facilitating a smooth transaction with little hassle to the borrowers. Brokers usually have access to a wide range of lenders and products, and should aim to source the best and most appropriate loan for their clients. A broker looks at the clients specific needs and circumstances, and should be able to interpret which type of loan best suits their clients and why. A broker will look at the different angles of a loan application, and will present their client's application in it's most positive light, rather than just seeing whether it meets a checklist or not. Remember, the broker doesn't get paid until the loan settles so it's in your interest as a broker to make sure you are doing things ethically and within the lending policy set out by the lenders. Good brokers will 'chase' approvals for their clients. Your service shouldn't stop with just submitting your loan, it should continue right up to and after settlement. As a broker you should be trying to minimize the legwork and hassle for your clients, and remain available to answer any questions they may have, even well after the loan settles. This way you can build a relationship with them, so that you are the first person they come to when they are thinking of refinancing etc. 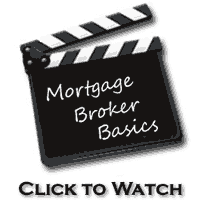 To act as a broker you will need to have access to a wide variety of lenders and products. While a lot of brokers would maintain direct accreditations with lenders, the major Lender’s often have volume and compliance standards that a broker might have difficulty in achieving by themselves. For this reason most brokers will use the services of an aggregator (a wholesaler for the finance industry) in order to have access to major lenders and maintain their accreditations. The aggregators come in various forms from discount “warehouses” to fully branded franchise groups. All of the aggregators will offer additional services other than just maintaining access to lenders. Some of the extra services could possibly include: Loan comparison software, Compliance support, Credit Licence support, providing leads, CRM, administration, training mentoring and many other services. Most aggregators would also provide access to other non finance products and services that their members can provide for their clients and receive commissions or fees. Major lenders would also require a broker to either hold an Australian Credit Licence (ACL) or be authorised under a licence (normally by the aggregator or the groups they work with). Lenders will also require brokers to have completed a Certificate 4 in Financial Services – Mortgage Finance and join a Mortgage Industry Body. For more information on the various industry bodies available see our guide on Mortgage Industry Associations (MFAA) . Further information is available about Australian Credit Licences (ACL) on our Australian Credit Licence Page. Speak with other mortgage brokers to find out how they work and who they operate through. You can look in the yellow pages under Finance, Mortgage Finance, and Mortgage Brokers to get you started. Speak to various lenders whose products you may wish to sell and find out about their individual accreditation processes. Speak to the aggregator and franchise companies to see if any of them offer a model that suits your needs. Consider a franchise or aggregator where they provide training and support. You will need to achieve Certificate IV in Financial Services (Mortgage and Finance) FNS40815. You will need to get professional indemnity insurance generally with a minimum of $1,000,000 per claim, and $2,000,000 in aggregate. Most of the industry bodies have relationships with various insurers, as do most aggregation or franchise groups. If you are joining the MFAA, you will also have to complete a Diploma in Financial Services (Mortgage Management) FNS50311. For more information on the Diploma course, please visit the 'Course Content' page of our website.